From Rimini along the provincial road towards Marecchiese Novafeltria, cross the bridge and go to Santa Maria Maddalena Secchiano (6km before Novafeltria), at the first roundabout with a sculpture (a face carved in stone) continue straight on for 300 meters and turn right in the direction of ‘Sogliano the Rubicon’. 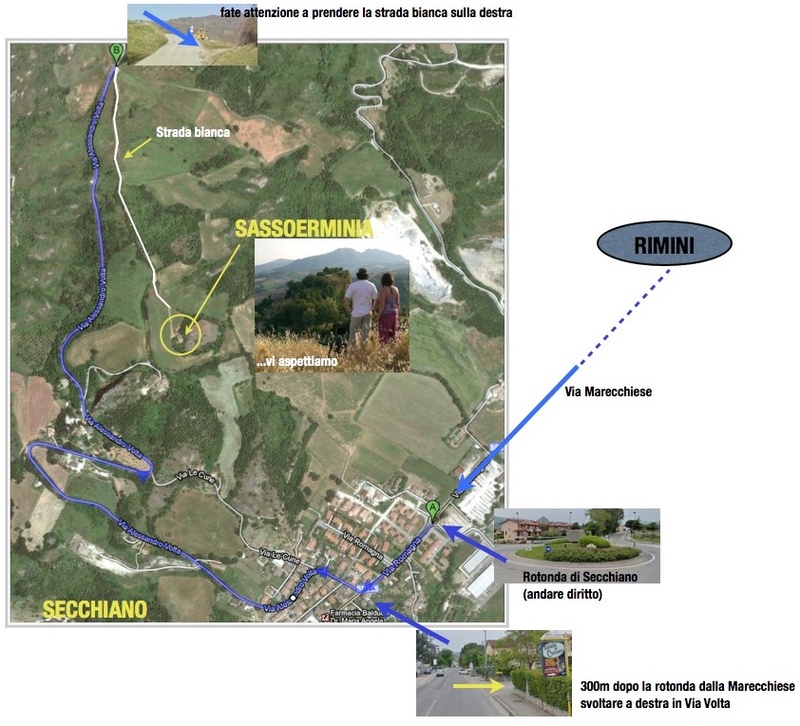 It covers more than 2 miles to a curve double first right then left, immediately after the first curve to the right there is a road mirror on the left and a sign wooden indicating SassoErminia a dirt road on the right, take it, drive 500 meters and you will find SassoErminia. From the railway station of Rimini, take the bus n ° .160 gray/blue (recognizable by neon “RIMINI NOVAFELTRIA”), to stop ‘Crossroads Sogliano’ in locations Secchiano.